U6X03E HP Provides Annual Personalized Proactive Supp For Existing Proactive Care Bcs Centric Environmt. New Retail Factory Sealed With Full Manufacturer Warranty. U6X03E HP Provides Annual Personalized Proactive Supp For Existing Proactive Care Bcs Centric Environmt. New Bulk Pack. 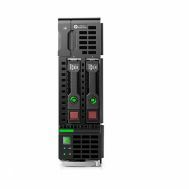 793312-B21 HP Proliant Dl580 G9 High Performance 4x Intel Xeon 18 Core E7-8890v3/ 2.5GHz, 256GB(16x16GB) Ddr4 Sdram, 2 X 10 Gigabit Ethernet, 4x 1500w Rps 4u Rack Server. New Retail Factory Sealed With Full Manufacturer Warranty. AG307A HP Storage Works 9000 Virtual Library System 30TB Capac. Refurbished. 728544-001 HP Proliant Dl580 G8 High Performance 4x Intel Xeon E7-4890v2/2.8 GHz 15 Core 128GB Ddr3 Sdram Smart Array P830i/2gb Fbwc 2x 10 Gigabit Ethernet 4x 1500w Ps 4u Rack Server. New Retail Factory Sealed With Full Manufacturer Warranty. AM447A HP Proliant Dl980 G7 4x Intel Xeon 10-Core E7-4870/2.4GHz 256GB Ddr3 Ram Dvd-Rw Smart Array P410i With 512mb Fbwc 4x Gigabit Ethernet 8x 1200w Ps Rack 8u-8way Server. Refurbished. 728349-B21 HP Proliant BL660C GEN9 4X Intel Xeon 12-Core E5-4650V3/ 2.1GHz, 128GB(4X32GB) DDR4 SDRAM, 1GB FBWC, 2X 20GB 2-Port 630FLB Flexiblelom Adapter, 4u Blade Server. New Retail Factory Sealed With Full Manufacturer Warranty. 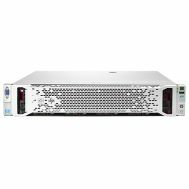 AM449A HP Proliant Dl980 G7 4x Intel Xeon 8-Core E7-2830/2.13GHz 128GB Ddr3 Sdram Dvd-Rw 4x Gigabit Ethernet 8u-8-Way Rack Server. Refurbished. 732342-001 HP Proliant Dl560 Performance Model G8 4x Intel Xeon E5 4640v2/2.2ghz 10 Core 128gb Ddr3 Sdram 10gigabit Ethernet 2 Port 533flr-T Adapter 5 Sff Sas Hdd Bays 2x 1200w Ps 2u Rack Server. Refurbished. 728546-001 HP Proliant Dl580 G8 High Performance 4x Intel Xeon E7 4850v2/2.3 Ghz 12 Core 128GB Ddr3 Array P830i/2GB Fbwc 2x 10 Gigabit 4x 1500w Ps 4u Rack Server. New Retail Factory Sealed With Full Manufacturer Warranty. 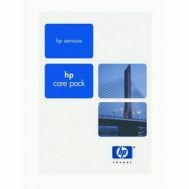 727959-B21 HP Proliant BL660C G8 Performance Model 4x Xeon E5-4650V2/2.4GHz 10-Core, 128GB DDR3 SDRAM, 2X HP 534FLB Adapter, HP Smart Array P220I Controller With 512MB FBWC, Blade Server. New Retail Factory Sealed With Full Manufacturer Warranty. 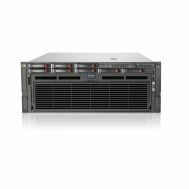 704160-001 HP Proliant Dl585 G7 4x Amd Opteron 16 Core 6386es/2.8GHz 128GB Ddr3 Sdram 4x Gigabit Ethernet 4x 1200w Ps 4u Rack Server. New Retail Factory Sealed With Full Manufacturer Warranty. 728546-001 HP Proliant Dl580 G8 High Performance 4x Intel Xeon E7 4850v2/2.3 Ghz 12 Core 128GB Ddr3 Array P830i/2GB Fbwc 2x 10 Gigabit 4x 1500w Ps 4u Rack Server. New Bulk Pack. 727959-B21 HP Proliant BL660C G8 Performance Model 4x Xeon E5-4650V2/2.4GHz 10-Core, 128GB DDR3 SDRAM, 2X HP 534FLB Adapter, HP Smart Array P220I Controller With 512MB FBWC, Blade Server. New Bulk Pack. 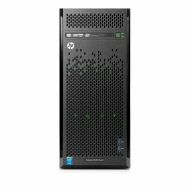 793311-S01 HP Proliant DL580 G9 2X Intel Xeon E7-8860V3/2.2GHz 16-Core, 128GB DDR4 SDRAM, Smart Array P830i With 2GB Fbwc, 4x Gigabit, 2x 1200w Hot Plug Power Supplies, 4u Rack Server. New Retail Factory Sealed With Full Manufacturer Warranty. 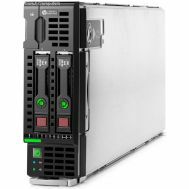 679114-B21 HP Proliant Bl660c G8 4 X Intel 8 Core Xeon E5 4650 2.7 GHz 128 GB DDR3 SDRAM 0 HDD RAID 0 1 HP Smart Array. New Retail Factory Sealed With Full Manufacturer Warranty. 728350-B21 HP Proliant BL660C Gen9 4x Intel Xeon 10-Core E5-4620V3/ 2.0GHz, 128GB(8X16GB) DDR4 SDRAM, Smart Array P246br With 1GB FBWC, 2X 10GB 2-Port 536FLB Flexiblelom Adapter, 4U Blade Server. New Retail Factory Sealed With Full Manufacturer Warranty. 746080-S01 HP Proliant Dl580 G8 S-Buy 2x Intel Xeon E7-4870v2/2.3 Ghz 15 Core 64gb Ddr3 Sdram Smart Array P830i/2gb Fbwc 4x Gigabit Ethernet 2x 1200w Ps 4u Rack Server. Refurbished. 653745-001 HP Proliant Dl585 G7 4x AMD 16 Core Opteron 6282 Se 2.6 GHz Processor 128GB DDR3 SDRAM SATA 300 SAS-2.0 4 X Gigabit Ethernet 4u Rack Server. New Bulk Pack. 643064-001 HP Proliant Dl580 G7 High Performance 4x Intel 10 core Xeon E7 4850 2 Ghz 128GB DDR3 SDRAM SAS SATA DVD ROM Raid 0156105060 4x Gigabit Ethernet 4u Rack Server. New Bulk Pack. 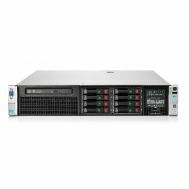 679114-B21 HP Proliant Bl660c G8 4 X Intel 8 Core Xeon E5 4650 2.7 GHz 128 GB DDR3 SDRAM 0 HDD RAID 0 1 HP Smart Array. New Bulk Pack. 727958-B21 HP Proliant Bl660c G8 Base Model 4x Xeon E5-4620v2/2.6GHz 8-Core 128GB Ddr3 Sdram 2x 10gigabit Ethernet HP Smart Array P220i Controller With 512MB Fbwc Blade Server. New Retail Factory Sealed With Full Manufacturer Warranty. 686784-001 HP Proliant Dl560 G8 Performance Models 4x Intel Xeon 8-Core E5-4640/2.4ghz 64gb Ddr3 Sdram Hot Plug 5sff Sas/Sata Hdd Bays Matrox G200 2 Adapter Ilo-4 2x 1200w Ps 2u Rack Server. New Retail Factory Sealed With Full Manufacturer Warranty. 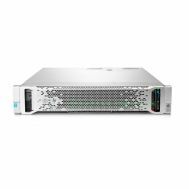 704160-001 HP Proliant Dl585 G7 4x Amd Opteron 16 Core 6386es/2.8GHz 128GB Ddr3 Sdram 4x Gigabit Ethernet 4x 1200w Ps 4u Rack Server. New Bulk Pack. 653746-001 HP Proliant Dl585 G7 4x Amd 16 Core Opteron 6276 2.3 GHZ 128GB Ddr3 1333 Sdram SATA 300 SAS 2.0 4x Gigabit Ethernet HP nc375i 1200w Ps 4u Rack Server. New Retail Factory Sealed With Full Manufacturer Warranty. 540-5604 SUN CPU Memory Uniboard w 4 x 1.2GHz 32GB. Refurbished. 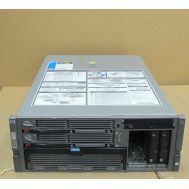 679115-B21 HP Proliant Bl660c G8 Blade Server 4 X Intel Xeon E5-4620 2.2ghz. New Retail Factory Sealed With Full Manufacturer Warranty. 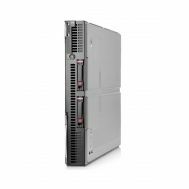 704160-001 HP Proliant Dl585 G7 4x Amd Opteron 16 Core 6386es/2.8GHz 128GB Ddr3 Sdram 4x Gigabit Ethernet 4x 1200w Ps 4u Rack Server. Refurbished. 728351-B21 HP Proliant BL660C GEN9 2X Intel Xeon 10-Core E5-4610V3/ 1.7GHz, 64GB(4X16GB) DDR4 SDRAM, 1GB FBWC, 2X 10GB 2-PORT 536FLB Flexiblelom Adapter, 4u Blade Server. New Retail Factory Sealed With Full Manufacturer Warranty. 746081-S01 HP Proliant dl580 g8 s buy 2x intel xeon e7 4830v2/2.2GHz 10 core, 64GB Ddr3 Sdram, Smart Array P830i/2GB Fbwc, 4x Gigabit Ethernet, 2x 1200w Ps, 4u Rack Server. Refurbished. 643065-001 HP Proliant Dl580 G7 Base 2 X Intel Octa core Xeon E7 4830 2.13 GHZ 64gb Ram DDR3 SDRAM SAS SATA Dvd Rom Raid 0 1 5 6 10 50 4x Gigabit Ethernet 4U Rack Server. New Bulk Pack. 728547-001 HP Proliant Dl580 G8 Base Model 2x Intel Xeon E7-4809v2/1.9 Ghz 6 Core 64gb Ddr3 Sdram Smart Array P830i/2gb Fbwc 2x 10 Gigabit Ethernet 2x 1200w Ps 4u Rack Server. New Retail Factory Sealed With Full Manufacturer Warranty. 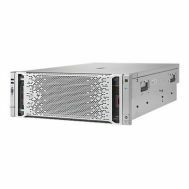 653747-001 HP Proliant Dl585 G7 4x AMD 16 Core Opteron 6272 2.1 GHz Processor 64GB DDR3 SDRAM SATA 300 SAS 2.0 4 X Gigabit Ethernet 4u Rack Server. New Bulk Pack. 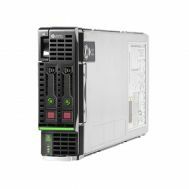 697607-S01 HP Proliant Dl560 G8 Smart Buy 2x Intel Xeon 8 Core E5 4650 2.7GHZ 64GB Ddr3 Sdram Hot Plug 5sff SAS SATA Hdd Bays Matrox G200 1gb 4 Port 331flr Adapter Ilo 4 2x 1200w Ps 2u Rack Server. Refurbished. 643063-001 HP Proliant Dl580 G7 High Performance 4x Intel 10 core Xeon E7 4870 2.4 GHz 128GB Ram DDR3 SDRAM SSD SATA Dvd Rom Raid 0156105060 4x Gigabit Ethernet 4U Rack Server. New Retail Factory Sealed With Full Manufacturer Warranty. 728547-001 HP Proliant Dl580 G8 Base Model 2x Intel Xeon E7 4809v2/1.9 Ghz 6 Core 64gb Ddr3 Sdram Smart Array P830i/2gb Fbwc 2x 10 Gigabit Ethernet 2x 1200w Ps 4u Rack Server. New Bulk Pack. 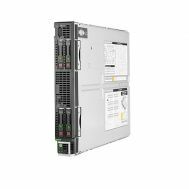 727957-B21 HP Proliant BL660C G8 Entry Model 2x Intel Xeon E5-4607V2/2.6GHz 6-Core HP Smart Array P220I Controller With 512MB FBWC, Blade Server. New Retail Factory Sealed With Full Manufacturer Warranty. 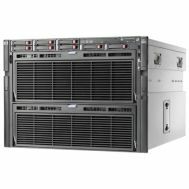 643781-B21 HP Proliant Bl680c G7 2x Xeon E7 4850 2.00GHz 64GB RAM SAS 6x 10gigabit Ethernet 4 Way Blade Server. Refurbished. 696730-001 HP Proliant Dl580 G7 High Performance 4x Intel Xeon 10 Core E7 4850 2.0ghz 128gb Ddr3 Sdram Dvd Rom P410i Sas Sata 331i Integrated Adapter Ilo 3 4x 1200w Ps 4u Rack Server. New Retail Factory Sealed With Full Manufacturer Warranty. 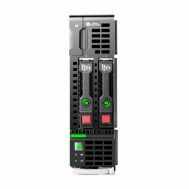 696729-001 HP Proliant Dl580 G7 4u Rack Server 4 X Intel Xeon E7 4850 2ghz 4 Processor Support 128 Gb Standard 2 Tb Maximum Ram Dvd-Reader 6gb S Sas Raid Supported. New Factory Sealed with Full Manufacturer warranty.